Who is “The Father of Baseball”? The answer is very controversial! In 1895 upon the death of Harry Wright, Henry Chadwick commented that Wright was virtually the founder of professional base ball. In 1904, Theodore Roosevelt presented the title of “Father of Baseball” to British born Henry Chadwick who is the only sportswriter enshrined in the Baseball Hall of Fame. James Sullivan, President of the Amateur Athletic Union. These men issued their final report on December 30, 1907 and declared that their final decision was Abner Doubleday “invented” baseball. Harry Wright comes back into the picture when Christopher Devine’s 2002 book is published with the title Harry Wright The Father of Professional Baseball. Ron Keurajian who is accepted by most as the leading autograph expert on Baseball Hall of Fame autographs. One expert in the field recently stated that if you put all the so called self-proclaimed autograph authenticating experts who are on the staff of authenticating companies they wouldn’t add up to a pimple on Keurajian’s derriere. Enter into the picture someone by the name of Keith Olberman. Many we have spoken to were unaware of who Keith Olbermann is. A quick check on Google states that he is an American News Anchor, sportwriter and political commentator. One article states he was fired by MSNBC another states he has been suspended by NBC. 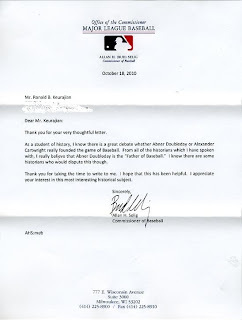 Signature Arts, Inc. and James Bruce was asked to comment on Olbermann’s statement and we had our genuine well documented autograph experts examine the Keurajian, Bud Selig letter. 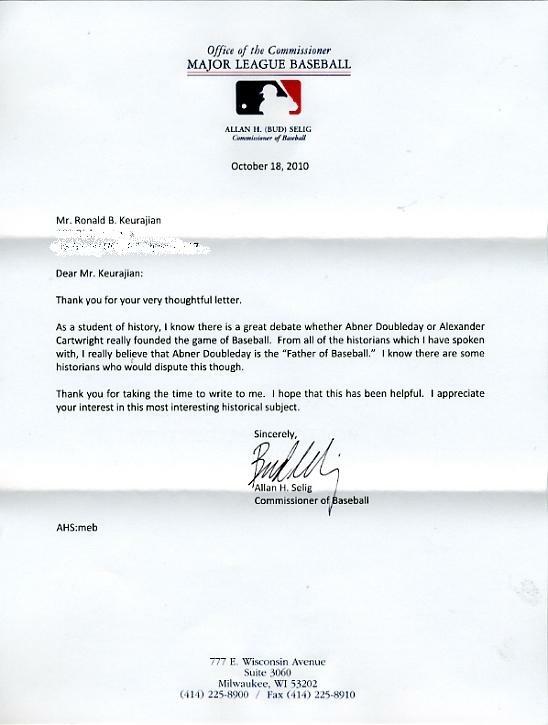 Every one has stated, without a doubt, the letter from Bud Selig is genuine and has been hand signed by the Commissioner. Mfitweb is a unique health, wellness and fitness online resource for people living stress burdened lifestyles who are striving very hard to attain complete health. This blog contains categories which cover different aspects of health and wellness. https://movieshook.com/ All you requirement to do is, go to settings, superior 'apps', then select the applications to be injured and click the 'modify' fix. All these applications can be enabled in the prox if you demand them. Commonly, the uninstalled applications or your cyberspace application oftentimes leaves behind toss files. These stash collection oft reduces your phone execution. To hyaline these collection, go to 'settings' and clack 'storage choice', then superior the cached collection add and counsel o.k..